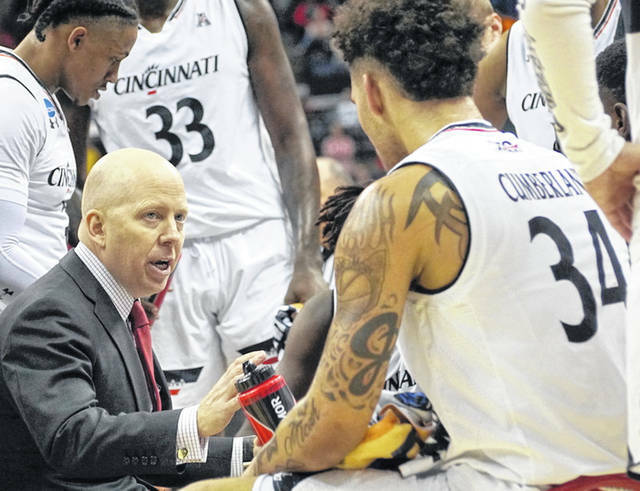 Mick Cronin (left) during a timeout in Cincinnati’s NCAA tournament game against Iowa. At the right is Wilmington High School graduate and UC junior Jarron Cumberland (34). Cronin is leaving Cincinnati take the head coaching job at UCLA.